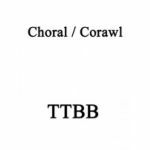 Adolphe Adam's classic for TTBB a capella. Curwen 50371. English lyrics only. Stephen Adams' "Nirvana", arranged for TTBB + piano by Bryan Davies for Cor Meibion Pontypridd. Roberton, 53084, 1995. English text only. Irving Berlin's " Alexander's Ragtime Band " arr. Denys Hood for TTBB + piano. Roberton, 1992. English lyrics only. Duration 3'15". Ave Maria, Bach and Gounod, arranged for Male Voice Choir and piano, by Gwyn Arch. D minor. Irving Berlin's 1926 standard arranged by Gwyn Arch for TTBB + piano. Goodmusic, 2007. English lyrics only.